For our golf-lovers here at Hyde Park, we have just the place for you to check out this week! With the beautiful weather upon us, what’s better than a day full of golfing at the beautiful River’s Bend Golf Course! 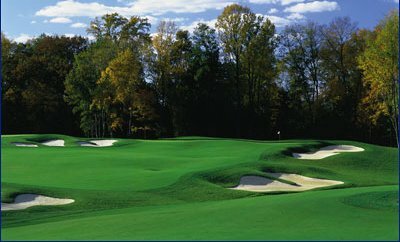 Located on the picturesque James River, River’s Bend is a championship 18-hole course that offers golfers of any skill level tight fairways, deep bunkers and plenty of water! The course stretches a whopping 6,671 yards and is known for being “the best greens in Richmond.” Take advantage of the gorgeous weather this week and come enjoy a truly amazing golf course, located at 11700 Hogans Alley right here in Chester!